The internet gives speedy access to information of all types. While much of this information is no cause for concern some things such as criminal records can be a source of embarrassment to millions of individuals. Even if the actions happened a number of years ago, a potential employer can discover the truth about your past in just a few seconds. That humiliating arrest that you thought was buried and forgotten can be viewed online by friends, family and complete strangers. With a New Hampshire expungement, you can finally have this information removed from public access. If you hope to expunge record in New Hampshire, there are certain steps which are involved. These steps can be confusing and difficult to navigate. 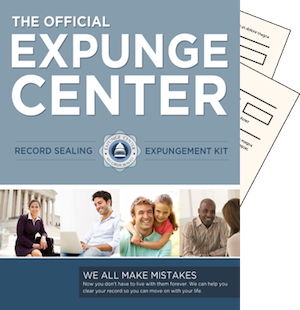 At expungecenter.com, you can get a kit that will help you breeze through the legal process and get your past criminal activity wiped from the chart. With a clean slate you can apply for jobs without worrying that someone is going to discover those secrets that you want to forget. If there was no conviction of the charges NH allows the records to be annulled. You will have to file a petition but this can be done as soon as all sentencing requirements are finished. Minor charges and offenses that were not prosecuted are some of the easiest to get removed. When an individual has been convicted of a specific charge it is still possible to receive help through the NH expungement process. There is a waiting period that occurs before these persons are going to be allowed to go to court and file the appropriate petition. The NH Department of Corrections will be requested to weigh in with any information relative to arrest, conviction and prosecution history. In most cases a small fee will be required from the petitioner. This money will cover the DOC investigation, paperwork and final report. The individual seeking such a petition will be given a copy of the DOC report and will be given the opportunity to address the court. Removing such arrest records is a request that can be granted if the individual is deemed eligible. The court must also rule that this step is going to be in the interest of both public welfare and the rehabilitation of the petitioner. Each state sets specific rules involving the expungement of a criminal record. In NH a person who commits multiple offenses or a violent crime will not be ruled eligible for this process. Starting over with a clean background means that you will have better job opportunities. It also means that you no longer have to worry what that background check will uncover. Most of all you will not have your prior offenses placed in public domain where anyone and everyone can read your history. If you really want to get a fresh start in life what better way to begin than by wiping that slate clean? Take our expungment eligibility test to find out if if your New Hampshire record can be expunged.